The James Webb Space Telescope being worked on by a team member at NASA. With help from the European Space Agency (ESA), and the Canadian Space Agency (CSA), researchers at NASA have been working for the past few years on a new telescope designed to surpass The Hubble Space Telescope. 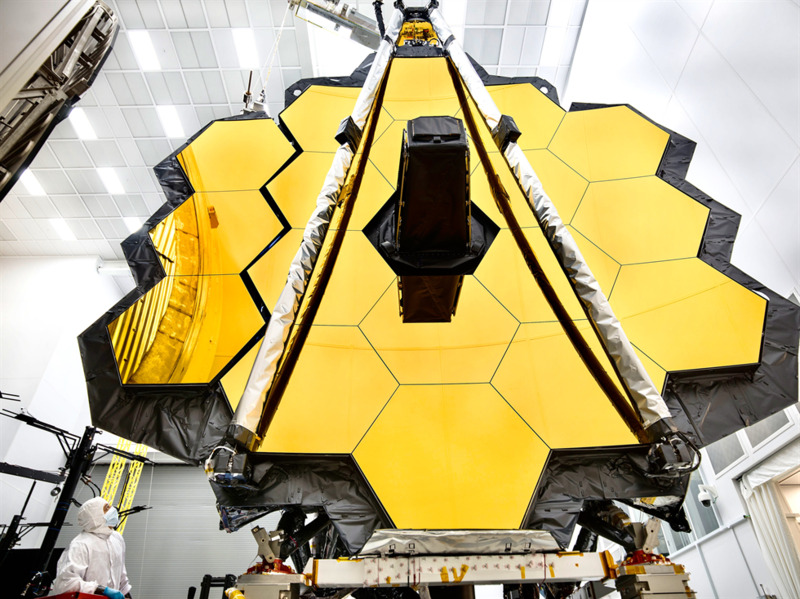 In January, Matt Greenhouse from the JWST Project office at NASA Goddard Space Flight Center presented about The James Webb Space Telescope (JWST) Mission and its progress. Set to launch later in 2018, JWST, named after the second administrator of NASA, James Webb, is designed to look back in time to the very first galaxies. The Hubble Space Telescope can only look back one billion years (although it has been known to look back a little further than one billion years) and the universe is 13.7 billion years old. Light from the most ancient galaxies is emitted in the ultraviolet spectrum which eventually stretches to infrared as it travels through expanding space. Unlike the Hubble, JWST is engineered to see in this infrared spectrum. The JWST will have many other uses once it is launched. It will be able to see stars form so we can finally understand how stars are born. 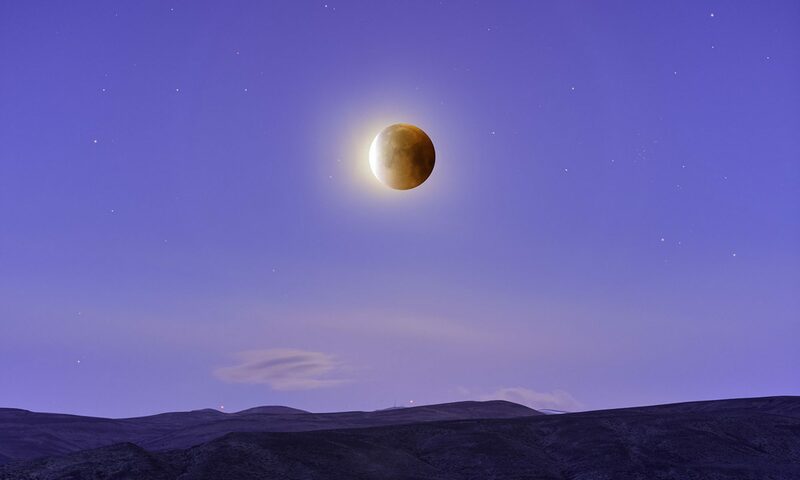 We will be able to watch how planetary systems are formed and how they evolve. A skill that will be very import for humans in the future is our ability to understand planets that orbit a star outside our solar system (exoplanets). JWST utilizes spectroscopy, a branch of research that looks at the spectra an objects reflects when in contact with or gives off electromagnetic radtion, to allow us to monitor atmospheres and possible life on these exoplanets that might allow us to find a new home far in the future. JWST will even be capable of looking at our own solar system. There are so many possibilities from looking at our sun and seeing the first solid bodies that were formed 4.567 billion years ago. JWST will even let us map out our future to when the sun becomes a red giant and destroys earth (currently estimated at 8 million years from now). As amazing as this sounds, it’s been a massive technical project. JWST had to be designed to operate in very low temperatures (cryogenic) and it will be the largest cryogenic telescope ever constructed. The team had two main problems: the mirror from the telescope is bigger than the Ariane Rocket Fairing (a rocket fairing is the nose cone that protects the item that is going into space through launch), and it was hard to create a high stability cryogenic operating temperature (-233 degrees Celsius, -388 degree Fahrenheit). The telescope is made up of three important elements: an optical telescope, an integrated science instrument module, and a spacecraft. The mirror is a major accomplishment in itself because it is made up of multiple mirrors that will be able to work together as one big mirror. The mirrors were crafted from Beryllium because it conducts heat well, does not expand and contract with a large changes in temperature, and is lightweight and rigid. 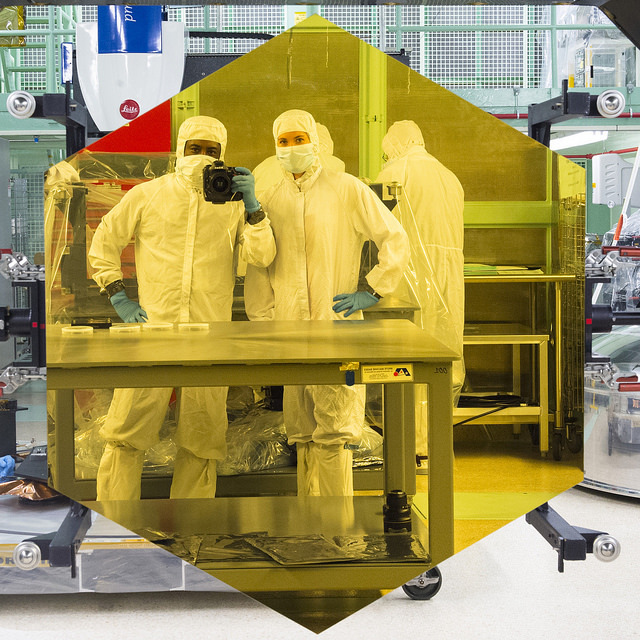 JWST crew posing in one of the large mirrors that make up the giant optical telescope. Overall, 3,200 bonded composite pieces were put together to build the telescope. The JWST will be transported by ship through the Panama Canal to French Guiana for its launch during 2018. When launched, it will be placed in orbit 1.5 million km from earth to help with the passive cryogenic cooling. Ultimately the telescope will be able to see the whole sky which will lead to very interesting discoveries in the next few years. OPINION: I can’t believe the Hubble Space Telescope isn’t going to be the new cutting edge technology anymore. The Hubble Space Telescope was a part of my childhood so a part of me is sad to see it go. However, this new telescope is so exciting, I think I could forgo my sadness. I’m really excited to see what comes out of this new telescope and I’ll be sure to live stream its launch when it goes up later this year. Greenhouse, M. 2018. The James Webb Space Telescope Mission. NASA Technical Reports Server: Oral/Visual Presentation, GSFC-E-DAA-TN51070.